the trans-siberian journey halts before and after each border. 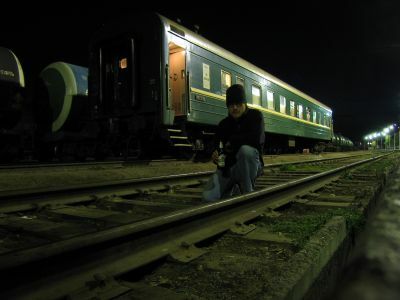 here i am at night enjoying an "exiting-russia" beer as our railcar sits alone on the tracks just inside the mongolian border. there isn't much to see or do in ulaan baatar, mongolia, so what you do is get a group of people together and pay a guy to drive you through the gobi desert for 2 weeks. 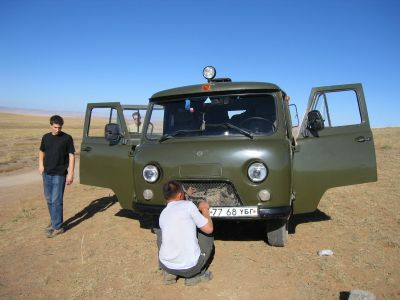 here is our russian van parked "roadside" in the gobi getting some routine maintenance from our driver otto. anael from france is standing to the left. welcome home! 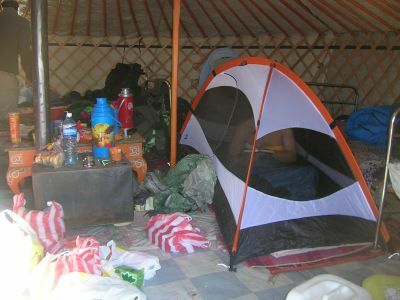 otto shows us the inside of our ger on the first night in the gobi desert. 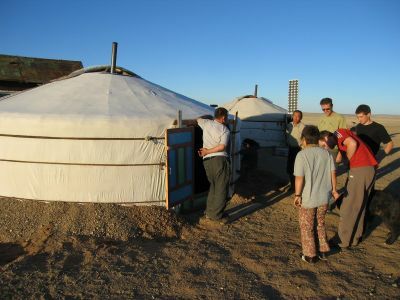 a ger is a white felt tent in which the nomads of mongolia live; they have so for thousands of years. we had the opportunity to live like them and amongst them for 2 weeks. in the gray shirt on the right is soek mee from korea, then hamish from new zealand in the red, anael in the black, and guust from the netherlands in the green. every family had a 4-year old girl it seemed. here a little girl with a name i can't write enjoys a sucker given to her by chantal (not pictured) from the netherlands. otto crouches in the background. otto lives in the gobi desert and so on day two he took us to his family's ger for lunch. that blue bowl contains camel meat which he and his wife packed into dough to make dumplings. my stomach lurched at the thought of eating a camel, especially given that there was no refrigerator in sight keeping the meat fresh. and that otto had just left the outdoor toilet without washing his hands. and that my stomach wouldn't know what camel was when i delivered it. well, i didn't come all the way around the world to eat safe food. i'm diving in. 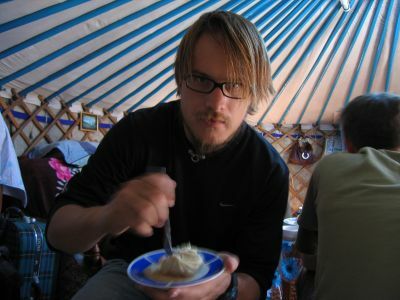 me with a forkful of camel dumpling in otto's ger. it tasted like a meatball and didn't get me sick. not bad actually. hundreds of bones and skulls of animals cover the sandy ground outside otto's ger. 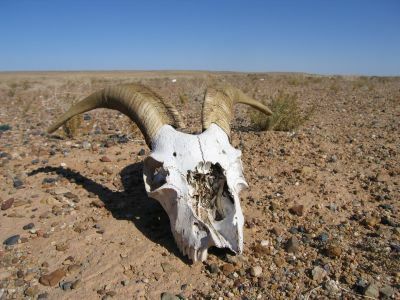 we often chucked the aerobie around in the desert and when a throw would skim the ground, it would kick up all kinds of camel shins, goat skulls, and other small bones. 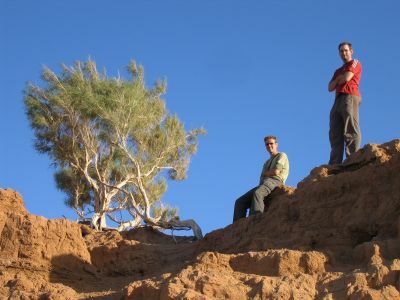 guust (left) and hamish enjoy the view from the top of a small cliff in the gobi. the ger for that night, the dreaded "mouse-house", stands a few hundred meters away, our home on the 2nd night of our trip. 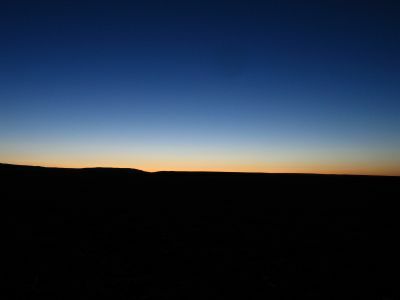 the sun sets in the gobi, giving way to what would be a very long, sleepless night for us in the rat-infested ger. in the middle of the night i felt a rat crawling up my leg. i yelped like a ten year old girl. we were under attack. yellow rats crawled all over us in search for food. after a couple hours i couldn't take anymore so i set my tent up and took shelter from the storm. guust, my 6'3" dutch companion, got into my small tent with me. it was a tight fit but nothing crawled on us. the next morning, this guy and his daughter came in and squashed the mice. she would spot one and shriek, then he would smash it with his boot. he loved it. otto is packing up the truck behind him so we can push on through the gobi.